Successful planning requires an understanding and the application of local, state and regional legislation. 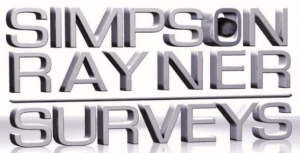 At Simpson Rayner, our practical approach to applying our knowledge is what allows us to deliver quality service. We are one of a few Town Planning firms accredited in Brisbane City Councils RiskSmart Development Application Process, providing our clients with a more cost effective process in a substantially reduced time frame of a traditional Town Planning Application. Whether your project is urban or regional, infill or broad-acre, you can rely on our skills and experience to deliver an innovative and cost effective planning solution.Our vision is to provide the best town planning experience and service at a competitive price to ensure clients receive value for money. Our role as town planning consultants is as advocates to the development industry, providing guidance and advice to clients on all planning issues ensuring their projects have the greatest chance of success. We share our client’s vision for their developments and continuously have their best interests in mind. We stand by our reputation to pursue our clients’ objectives over our own. For those looking to find a way to get through the development process and obtaining your development approval faster, you may be happy to learn more about the “Risk-Smart” Development Assessment process.